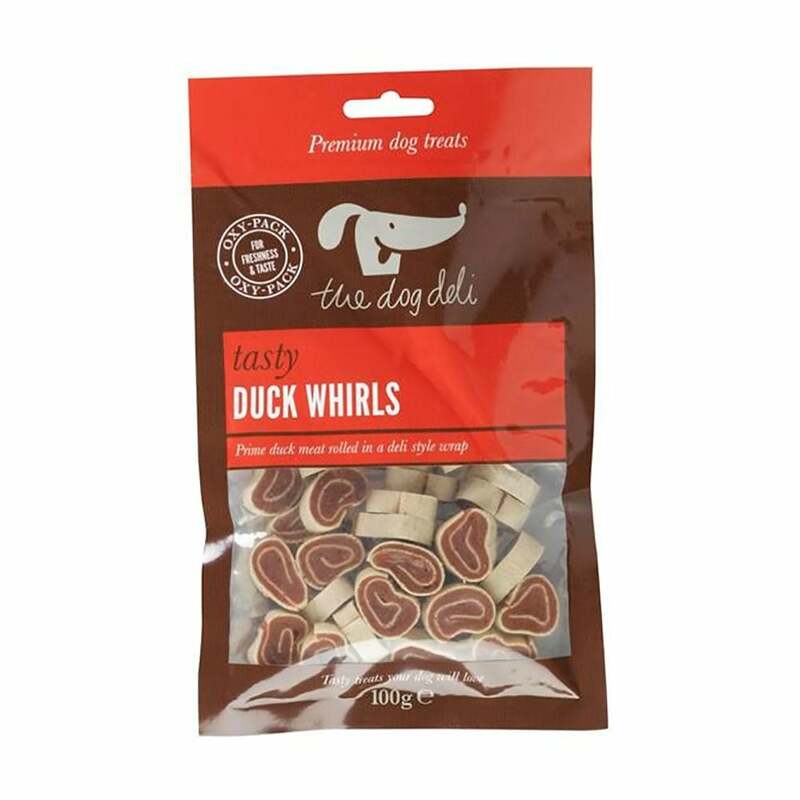 The Dog Deli Duck Whirls are delicious small treats made from chopped duck wrapped in a deli style wrap. Ideal for training or to reward good behaviour from your dog. The oxygen free pack ensures freshness. Please note: These treats are not suitable for puppies under 4 months.